Hello my little angel cookies from sprinkle heaven, welcome to DAY NINE. I think many people struggle with how religion does or doesn’t fit into their lives, and this time of year it takes on special significance. We are seeking spirituality integration into the holidays and I am by no means an exception. Although I know some people who are (an exception), people who have chosen atheism or a religion by birth or adoption and feel totally congruent about it. But I think many of us are in a state of questioning and experimentation, trying to cobble together a higher meaning to it all. I recently mentioned to my daughter that I miss things like candlelight service and nativity plays that I participated in growing up. How Mary was the coveted role and my plastic rub a dub dolly was used for baby Jesus in the manger. I’ve always been drawn to the idea of those living manger scenes where they integrate real animals, although I’ve never seen one. My daughter was surprised to hear that I had a Christian education and memories of these things. I almost forgot that she’s never been witness to this. And although at some level I feel nostalgia for this experience of the holidays, I know that it would ring hollow for me. I’ve grown into conflict with these beliefs, its not something I could connect to in the same way again- with the innocence and magic attached. I suddenly remembered how it was impressed upon us that Joseph must have been unwavering in his faith because he chose not to expose Mary with her pregnancy which would certainly result in her being stoned for infidelity. I remember accepting this notion gravely- this notion of basically an honor killing. I readily accepted that a woman’s sin was always greater. Even greater than a society that would do this, even greater than a man’s sin of condemning a woman (a woman he loves) to death. I never considered that maybe he loved Mary, and thats why he chose to believe her. That maybe it wasn’t even about God or his unwavering faith or the power of the holy spirit. Maybe it was just about love and loyalty and decency. And this memory filled me with sorrow because I know that still women are not believed about stuff that is way more believable than an immaculate conception. I’m not sharing this to ruin anyone’s Christian centric Christmas. I just feel this push and pull so keenly and I know I’m not alone. But I do feel like its ok to not know, to not be sure how to relate or whether its even relevant to you anymore. That it doesn’t prevent you from celebrating with the principles intact even if you lose the dogma and the ritual. Love, Loyalty, and Decency are fine things to integrate into the holidays- among other virtues. No one faith has a monopoly. 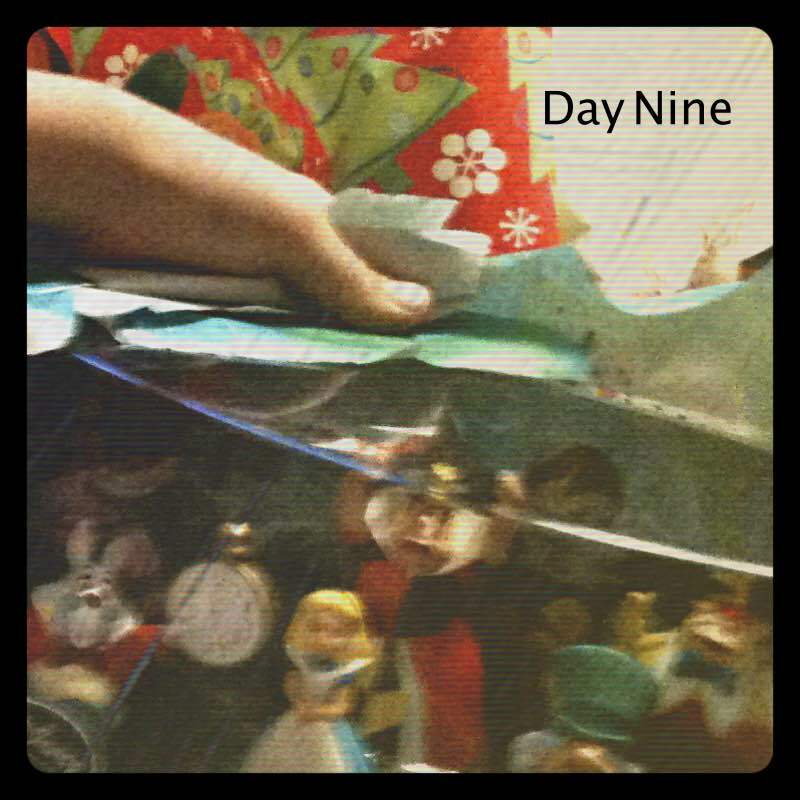 On this ninth day of advent I invite you to….experience wonder. Go outside. Talk to a kid. Cry in the face of something beautiful, so beautiful that it breaks your heart in two.